Have a question or don't understand a phrase on a page or document? Read on below for answers to frequently asked questions (FAQ) and a list of helpful terms to know. What is Omaha like? How's the weather? Omaha is a vibrant, culturally diverse metropolis in the middle of the United States, offering big-city attractions in a safe, small-town atmosphere. The metro area’s 850,000 residents are hard-working, genuine, and welcoming. It is the cultural center and the largest city in the state of Nebraska. One nickname that has been applied in recent years is the "Silicon Prairie," which suggests its similarity to California's "Silicon Valley" in its attractiveness to business ventures. It is home to many of the largest information technology, agribusiness, communications, telemarketing, and insurance companies in the country. If you like food, Omaha has more restaurants per capita than any other city in the United States, including a large number of ethnic restaurants. The city also has a large number of ethnic grocery stores, where ingredients for any type of cuisine can be found. Lastly, Omaha has four distinct seasons, with spring and fall being the most pleasant times of year. What’s the difference between the ILUNO Intensive English program and the International Professional Development (IPD) program? The ILUNO Intensive English is for students who wish to learn English as a Second Language. The program offers five levels of instruction with core classes in conversation, grammar, listening, pronunciation, reading, vocabulary, and culture. Beginning students learn day-to-day communication skills. Intermediate and advanced students customize their program by selecting from a wide variety of classes in TOEFL preparation, communicative competency, North American culture, and academic preparation. ILUNO students spend 21 hours per week in class with additional time in the multimedia laboratory where they work with computers. The International Professional Development (IPD) program is for professionals to gain a competitive edge in an increasingly interconnected global marketplace. They attend seminars in business and intercultural communications. They improve their English ability and increase their knowledge of global business practices. 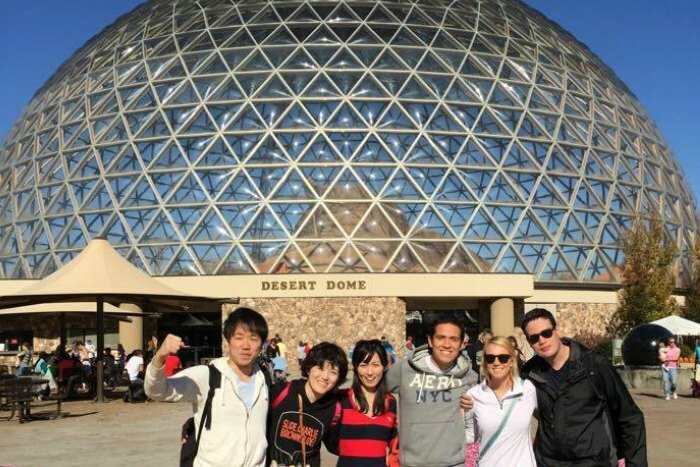 They also develop their professional networks while becoming immersed in Omaha’s international business community. How do I apply for ILUNO or IPD? What are the requirements? Do I have to take the TOEFL before enrolling in undergraduate classes? Not always. For most undergraduate programs at UNO, ILUNO students can demonstrate English competence through an alternative series of reading, writing, and speaking assessments. However, students who plan to major in English, Engineering, or Education must take the TOEFL. Read more about the Advantage Track. Do you allow concurrent enrollment in undergraduate classes, or can I take English and undergraduate classes at the same time? Yes, with a computer-based TOEFL score of 48 or higher, most students can begin undergraduate courses while still taking ILUNO Intensive English classes. Read more about the ILUNO Bridge Program. How long are the programs? Who are the instructors? Intensive English (ILUNO) program students spend 21 hours per week in class with additional time in the multimedia laboratory where they work with computers.Sessions last eight weeks and are scheduled six times throughout the year. International Professional Development (IPD) program students may participate in any or all of the five eight-week sessions that IPD offers each year. Sessions 1, 2, 3, and 4, which meet from August to May, build upon each other, and many people choose to stay all four sessions, or for either 1 and 2 or 3 and 4. The summer course, Session 5, is an intensive combination of most of the things studied throughout Sessions 1 through 4. It is not uncommon to take either Session 4 or Session 1 in combination with the eight-week summer course. Most of our staff and instructors have advanced degrees in either English as a Second Language or a related field, and they have significant experience living and working overseas. In addition, most have significant experience in the world of business as professionals themselves or as teachers or trainers. What is a typical day for ILUNO students? ILUNO students typically attend class for 21 hours per week. Depending on students' level of English, they will either have core courses in the mornings from 8:00-11:50 or in the afternoons from 1:00-4:50. Three-hour elective classes are offered at times that pair with students' schedules. Who can apply for scholarships and when are they due? All new F-1 or J-1 visa applicants with at least a 3.0 GPA may apply for a scholarship. We will accept applications until the first day of the semester. Read more about scholarships and funding. When will my scholarship application be reviewed? Undergraduate scholarship applications are reviewed only after a student has been provisionally or completely admitted to a program. Graduate scholarship applications are reviewed when we refer the student’s UNO application to Graduate Studies. Read more about scholarships and funding. Do I have to submit financial documents if I am applying for a scholarship? Yes. Scholarships are granted on a competitive basis and will not be awarded to every student who applies. Also, scholarships do not cover the entire cost of any undergraduate or graduate program. Read more about costs at UNO. Also known as AT UNO, this is a program within UNO’s Intensive English program (ILUNO), accepted as an alternative to the TOEFL for some UNO colleges and programs. This is provisional admission to an undergraduate major. Students conditionally admitted have applied to ILUNO to work on their English proficiency skills. If applying for Conditional Admission, please submit the University application for at least one semester after your ILUNO session to give time for the TOEFL requirement to be met. Full admission to ILUNO and conditional admission to an undergraduate major. Students with an F-1 visa will receive an I-20 for their major with the notation that English proficiency is required prior to enrollment in undergraduate classes. Students with a J-1 visa will receive a DS-2019 for their major with the notation that English proficiency is required prior to enrollment in undergraduate classes. 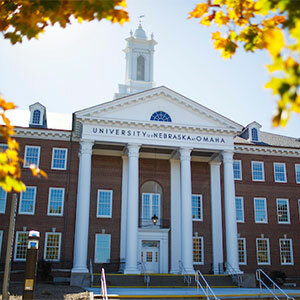 A student whose home institution is either a member of an exchange organization in which UNO is a member or an agreement specifically with UNO to send students between the institutions for purposes of educational and cultural exchange and enrichment. Please see the International Office at your home institution to find out if you qualify. An immigration document issued to J-1 visa holders and applicants. Applicants use this document as part of their visa application process. Current students use this for travel and other J-1 visa benefits. In order to receive this document, a J-1 transfer student or initial applicant must demonstrate their ability to pay any tuition, fees, and living expenses not covered by the exchange agreement or included in the government sponsorship. An immigration document issued to F-1 student visa holders and applicants. Applicants use this document as part of their visa application process. Current students use this for travel and other F-1 visa benefits. In order to receive this document, F-1 transfer students or initial applicant must demonstrate their ability to pay any tuition, fees and, living expenses. 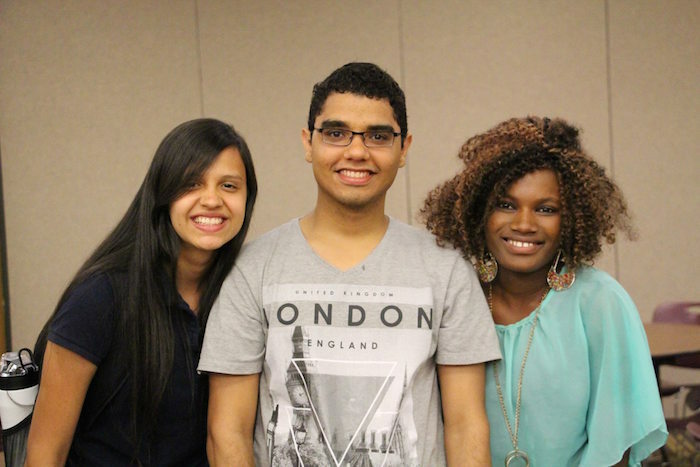 UNO’s Intensive English (ILUNO) program is one of the oldest and most-respected English as a Second Language programs in the United States. The program offers five levels of instruction which integrate reading, writing, and grammar or listening and speaking. Elective courses cover topics such as pronunciation, vocabulary, current events, TOEFL test prep, and critical thinking skills. ILUNO students spend 21 hours per week in class. Students whose native language is not English may apply to enroll in ILUNO. Students who are admissable to UNO and successfully complete the Advantage Track (AT UNO) program are eligible for full-time UNO admission in all undergraduate programs except English, engineering, and education. Please be sure to check the Proof of English Proficiency table to be sure that the college in your major allows ILUNO completion. The UNO International Professional Development (IPD) program is a professional training program for non-native English speakers with an emphasis on business reading and writing skills, and on verbal communication development. The program also incorporates discussion with native speakers, corporate visits, business seminars, and cultural enrichment opportunities. The purpose of IPD is to prepare professionals to be effective and successful in the world of global business. To enter IPD, you must have professional experience, a university degree (not necessarily a business degree), and high-intermediate to advanced English proficiency. Professional men and women come from all over the world specializing in fields such as sales, marketing, banking, finance, medicine, higher education, journalism, accounting, and many others. IPD has welcomed participants from many countries. In the past several years we have had participants from Japan, Korea, China, Thailand, Vietnam, Burkina Faso, Togo, Kenya, Lithuania, Turkey, Saudi Arabia, Afghanistan, Peru, Brazil, Colombia, Venezuela, and Panama. About half of IPD participants are corporate-sponsored, and others pay for the program themselves. The average age is about 31. A person or company who agrees to pay expenses on behalf of a student. American College Test (ACT) is an assessment exam used for admission. UNO does not require this exam for international students for admission purposes. UNO does accept ACT English section results as an alternative to the TOEFL. International English Language Testing System (IELTS) is an English proficiency exam developed by Cambridge University in Great Britain. It is accepted as an alternative to the TOEFL at some U.S. colleges and universities. Pearson Test of English (PTE) Academic is a new international computer-based English language test, delivering real-life measures of language ability to universities, higher education institutions, government departments, and other organizations requiring academic-level English. The new test will accurately measure the listening, reading, speaking, and writing ability of candidates who are non-native speakers of English and who want to study at institutions where English is the principal language of instruction. The Scholastic Assessment Test (SAT) is an assessment exam used for admission at many colleges and universities. UNO does not require this exam for international students. UNO does accept it as an alternative to the TOEFL. The Test of English as a Foreign Language (TOEFL) is an English proficiency exam developed by Educational Testing Service (ETS) in Princeton, New Jersey. It is preferred by most U.S. colleges and universities. A visa type for students who plan to study in the United States, but not permanently immigrate. Specific documentation is required as part of the visa interview process. You are required to demonstrate your ability to pay any tuition, fees, and living expenses. A visa type for exchange or government-sponsored students who plan to study in the United States but not permanently immigrate. Specific documentation is required as part of the visa interview process. You are required to demonstrate your ability to pay any tuition, fees and, living expenses not covered by the exchange agreement or included in the government sponsorship.